He wasn`t certified yet! 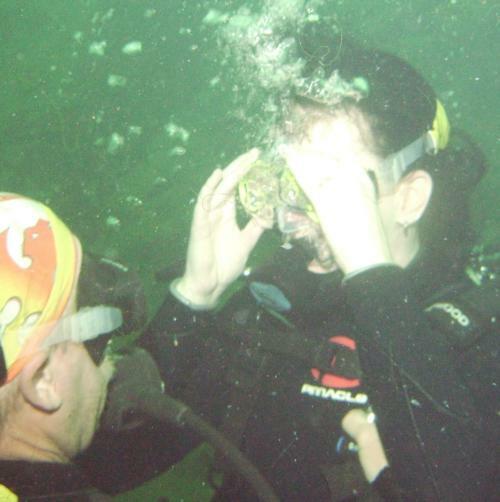 He was doing his open water certification dives when this happened! The conditions were calm, over 40` vis. He was with an instructor, somehow got seperated, came to the surface & called for help, but didn`t inflate his BCD. Before the boat crew could get to him, he sank to the bottom. He was found, reg out, unconscious, not breathing, was brought back to the boat, but resuscitation efforts failed. He drowned!